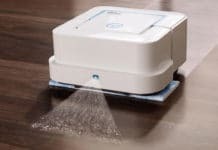 Until now, we have seen robots doing a number of impressive things that we never even think of. We saw them climbing stairs while avoiding obstacles, parking cars at the airport, and a lot more. 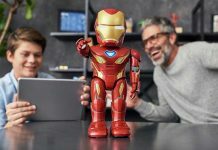 Now, researchers at the Massachusetts Institute of Technology (MIT) have brought something really interesting. 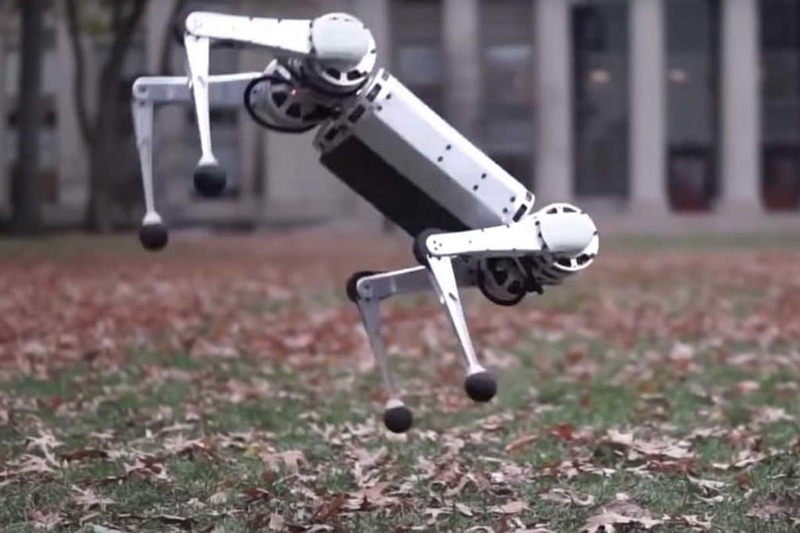 They designed and created a droid named “Mini Cheetah”, the very first four-legged robot able to do a backflip! MIT’s new Mini Cheetah robot can perform a 360-degree backflip from a standing position, walk either right-side-up or upside-down. Its lightweight and smaller size may be the key element in achieving this ability. 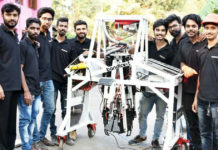 As well as being able to bend and swing its legs wide, the robot can trot over uneven terrain about twice as fast as an average person’s walking speed. 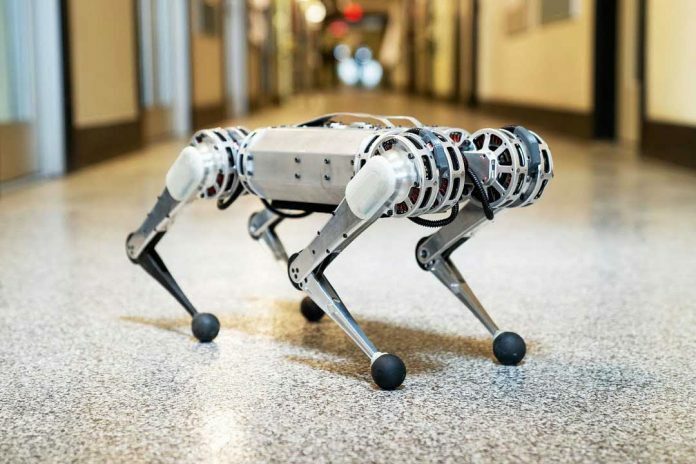 This AI robot dog is a miniature version of MIT’s Cheetah 3 robot and weighs only 20 pounds (9kg). 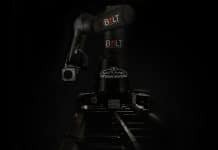 Moreover, when kicked to the ground, the robot can quickly right itself with a swift, kung-fu-like swing of its elbows. Each of the robot’s legs is powered by three identical, low-cost electric motors that the researchers engineered using off-the-shelf parts. Each motor can easily be swapped out for a new one. Lead developer Benjamin Katz with his robot. The researchers will present the Mini Cheetah’s design at the International Conference on Robotics and Automation in May. As the gymnastics are a dangerous activity, so in case if the malfunction or accidents happened- each element of the robot is easily replaceable. Three motors give it three degrees of freedom and a huge range of motion. 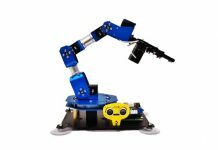 The lightweight, high-torque, low-inertia design enables the robot to execute fast, dynamic maneuvers and make high-force impacts on the ground without breaking gearboxes or limbs. For testing, the engineers ran the Mini Cheetah through a number of maneuvers, and the results were great. The MIT team is also developing another, even higher-impact maneuver.